It seems Jamaica’s performance on the track last year at the Olympic Games in Beijing was only a hint of things to come as Jamaica underlined it’s position as the number sprinting nation in the world at the 12th IAAF World Championships in Berlin with a massive medal haul of 13, consisting of 7 gold medals, 4 silver medals, 2 bronze medals. I’ve lost my voice a couple times over the past few days, cheering for the Jamaican athletes. There were times at work when the entire office building was shaking like crazy because everyone was jumping up and down at the same time. With so many gold medal winning performances and world record runs from the poster boy of world athletics I was tempted to turn Jamaipanese.com into a Jamaican athletics fan blog but alas I held out and I have prepared this super duper post complete with a list of the events Jamaica won medals in, links to the videos of each gold medal winning performance, picture of the unique design of the medals won in Berlin, more on the amazing Usain Bolt abd finally my favourite medal won by Jamaica at the championships. 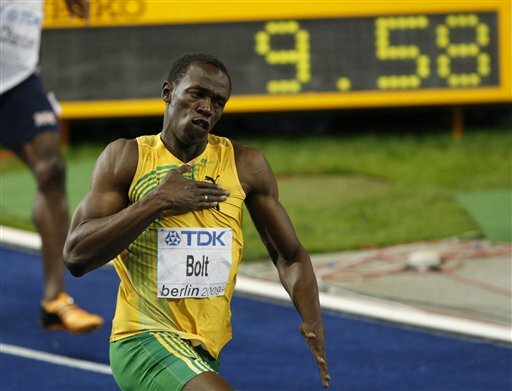 I have yet to come up with a name to describe the spectacle which is Usain Bolt. Nicknamed “Lighting Bolt” by fans and called “Insane Bolt” by one of the television commentators who was left lost for words after his 100 and 200 metre gold medal wins in world record times. I can still remember watching a tall and super skinny country boy looking all handicapped as he seem to be so tall that he folded around corners at the national stadium in Kingston during his 400 and 200 metre races as a teen and was later written off because of spinal alignment problems. Fast forward a few years and put him in the hands of the world class coach that is Glen Mills and you have one of the biggest names in world sports. 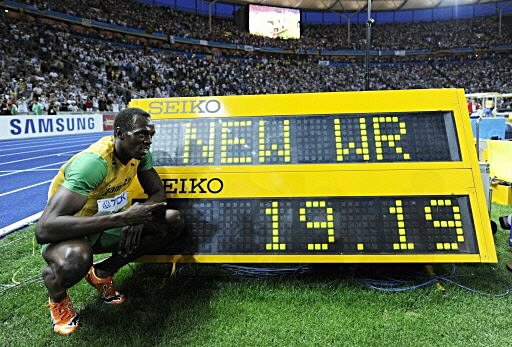 Well done Usain, I hope you remain grounded and healthy and I wish for you continued success. My favourite medals for Jamaica was a gold medal won by a lovely 34 year old lady named Brigitte Foster-Hylton in the 100m hurdles. She has been a long time athlete who has enjoyed on and off success in a long career. 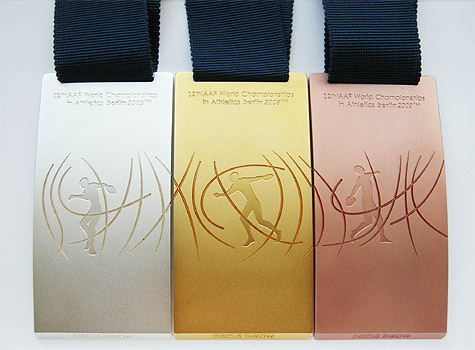 At the world championships she has already won the bronze and silver medals in her event. Due to limited success in the last few years complicated by injuries she considered quitting but due to support from family, friends and her coach she returned determined to walk away from Berlin with the gold medal and that she did. Congratulations to you Bridgette. Job well done and to all the medal winners, the entire team, coaches, organizers and supporters, Jamaica is number one in the world of sprinting! Truly outstanding performances by our athletes!! Congrats to Jamaica, great athletes in this lovely country!